Don't duplicate addresses linked to the same item. 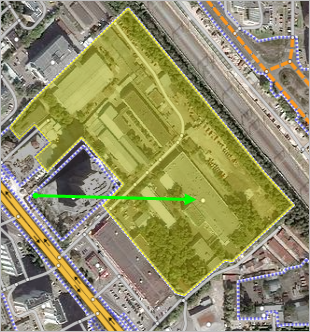 For example, there should not be two addresses named “1” that are linked to Iunost Square in Zelenograd. 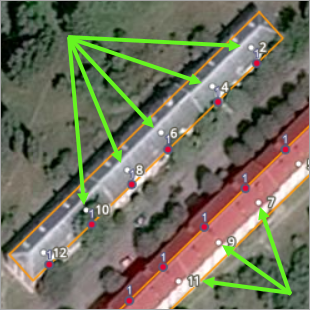 Address points should be placed inside the building polygons (footprints) they correspond to. An address point should be placed inside its building's footprint whenever possible. 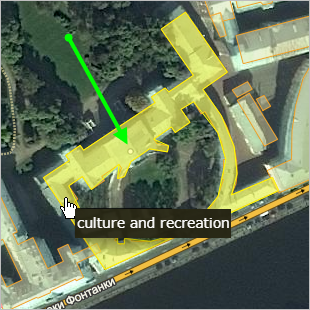 Address points should not overlap with one another or other map points (such as organizations). Overlapping makes it difficult to display and edit map items. See also Section 2.5.1. Places: drawing techniques. If one address is linked to several buildings in an industrial zone, then place the address point at the main (administrative) building. If one address is linked to a building with separate wings, then place the address point at the main building. If an address point corresponds to a building with a complex shape, the point should be placed on the part of the building that runs along the road (picture on the left). If there is no such part (or the object's shape is too complex), place the address point closer to the building's center (right picture). If a building has two or more associated addresses which correspond to different streets and its footprint is made up of rectangles (e.g. it's T-, U-, or L-shaped), then the address points should be placed on the footprint's edges in a such a manner that each point is “closer” to its associated street. 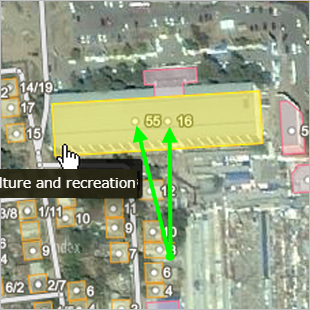 If a building is demolished and erased from the map (see p. 3.1.1.3), the associated address point must also be removed. 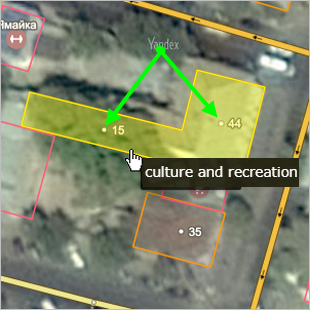 If an area is vacant after its buildings have been demolished but still retains its address according to official sources, then its address point must be kept as is. However, if the area itself becomes inaccessible after the subsequent redevelopment, then the access point should still be removed. See also point 3.5.1.12. Don't mark addresses whose numbers are not known. 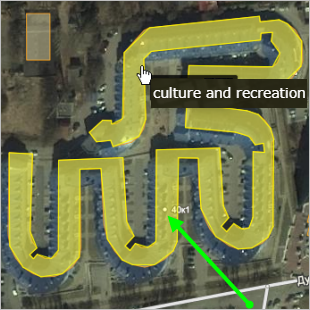 There should be no address points with the “no address attributes” attribute on the map. You can put addresses that are assigned to an area (territory) on the map, even if there are no buildings there. 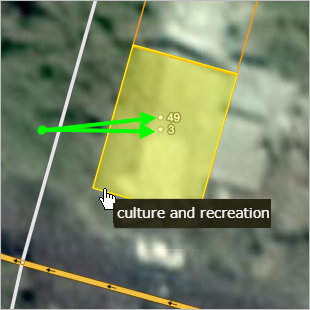 For example, this could apply to newly formed cottage settlements where no construction has yet taken place. Addresses for garage co-operatives are only mapped if those addresses correspond to associated roads and administrative areas. Do not map addresses that are directly linked to garage co-operatives.